Time is a pretty important asset. When you add extra work to your list of responsibilities however, time can become more of a scarcity. Side hustling is a great way to earn extra money, but it can dominate your free time and cause you to neglect other areas of your life if you allow it. Effective time management is extremely important for busy side hustlers. Managing your time properly can increase the longevity of your side hustle and allow you to enjoy more balance even with a busy schedule. Here are five time management strategies to implement if you’re struggling to balance your side hustle with other responsibilities. Distractions are the number one thing that will slow you down when it comes to working on your side hustle. It’s important to identify what your most common distractions are, then reduce or eliminate them so you can get more done. Common distractions I struggled with when it came to my side hustle included television, social media, email (and my phone in general considering all the notifications I tend to receive). Create a designated work space and block out enough time to get things done distraction-free. Unplug, ask your partner or a family member to watch the kids, and just focus. It’s common for side hustlers to get a majority of their work done before or after work. Sometimes, you can do both but it might be hard getting up at 5:00 or 6:00 a.m. and staying up late until midnight to work on your side hustle. If your side job allows you to work on your off day, that’s even better and you can utilize that time. Usually, it comes down to whether you are a morning or night person. I personally like to get up early and work but my husband prefers to work his side hustle at night, which involves driving for Uber. Sometimes he says that he will get up on a Saturday morning and do some driving but in my head, I roll my eyes because I know he’s not a morning person and usually sleeps in for a bit after driving all night on Friday. In my case, expecting myself to pick up extra work to complete in the evening would be unrealistic because I prefer to rest and unwind during that time so it’s all about knowing yourself and your preferences. You should rarely ever multitask. Maybe folding laundry while watching T.V. is fine but when it comes to your side hustle, focus on each task one-by-one. It may seem overwhelming at first, but you’ll get more done in less time in the long run. If you try to juggle too many things at once, you might wind up not accomplishing anything at all. Create a daily to-do list, start with your most challenging task, then check things off one-by-one. If you want to have more time for your side hustle, you’ll need to make some changes and consolidate your time spent in other areas of your life. Try not to sacrifice time spent doing things you value but work on decreasing the amount of time you spend on tedious tasks. For example, you may want to outsource household chores and laundry duties if you can earn more money with your side hustle than it costs to pay for those services. You can also prep and prepare your meals during the weekend for the entire week so you won’t have to spend a ton of time cooking each night. You can ask a friend, family member or significant other to run a small errand for you while they are out as long as it’s not an inconvenience. Regardless of where you work, I don’t think anyone operates at a 100 percent productivity rate for the entire 8-hour work day. When you throw a side hustle into the mix, your chances of being able to maximize productivity become even smaller. That being said, you can’t skip breaks and should allow yourself the opportunity to rest and regroup. It’s much better to work on your side hustle for a solid hour than to spend three hours doing almost nothing because you’re exhausted and trying to find the motivation to work. You’ll just be miserable plus, you won’t have time for any other area of your life. When I was side hustling a lot on the side of my full-time job. I’d wake up pretty early to spend about 90 minutes on my side hustle, then I’d go to work. After work, I’d take a break from side hustling and spend time with my family, cook or warm up leftovers and relax. 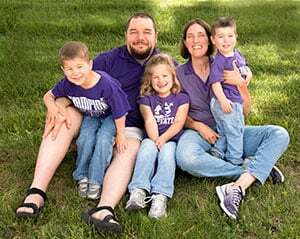 Then, after I put my son to sleep, I’d usually squeeze in another hour of work followed by doing something relaxing like watching a television show or reading a book to end my night. It doesn’t seem like much, but following that schedule allowed me to dedicate 12.5 hours to my side hustle before the weekend even hit. By cutting out distractions and giving yourself enough time to unwind, you’ll have the energy and motivation you need to make progress with your side hustle without feeling like you never have enough time to live your life. 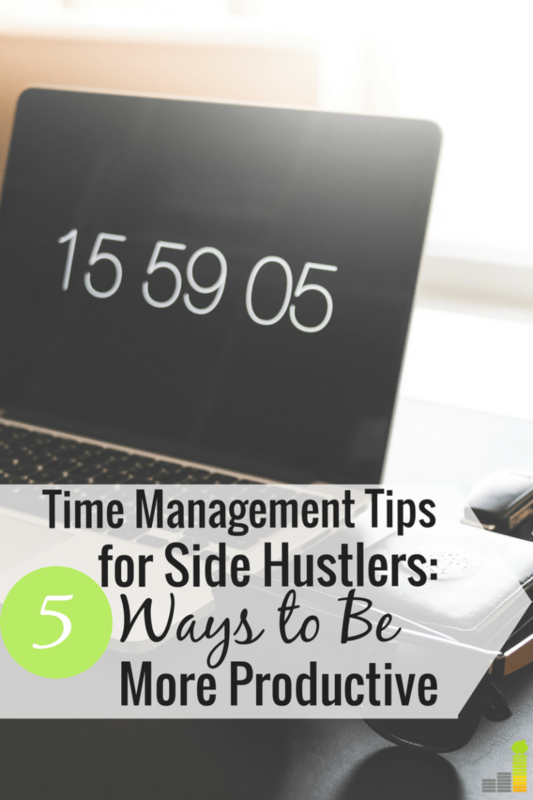 How do you manage time for your side hustle? What’s one area you struggle with managing when it comes to your side hustle? 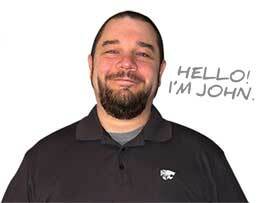 Do you find that you get more, or less done when you multitask? Excellent tips. I especially like the one about making a to do list and trying to do the most challenging task first. It can be easy to get caught up in little tasks that need to be done. But the best use of your time is to do the things that matter most first. Use the Pomodoro technique. Work in 25 minute bursts. I really helps. Also, learn how to properly use Eisenhower Decision Matrix, it allows you to pinpoint the most important tasks and focus on them. Now that side hustles are becoming more and more mainstream, I think time management is the next big area that people will be focusing on. 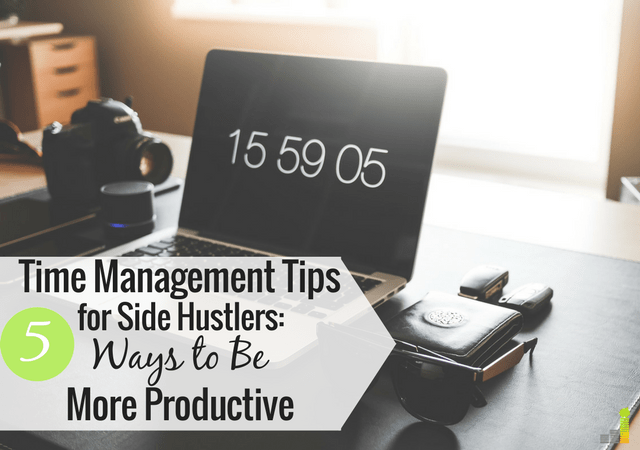 If you don’t manage your time effectively, you are going to struggle juggling a 9-5, side hustle, and everything else that is part of your daily life. Ironically the past few years I have definitely spent hundreds if not thousands of hours working on my side hustle with some sort of TV show on in the background. I think I work better with TV on in the background, actually! I know this won’t be the case for everyone. Ever since I decided to set my alarm at 5 a.m., I’ve become more productive and it shows! I get more done by 9 a.m. than I ever used to before! I also confirm the Pomodoro technique does wonders for those who need to stay focused “or else”.